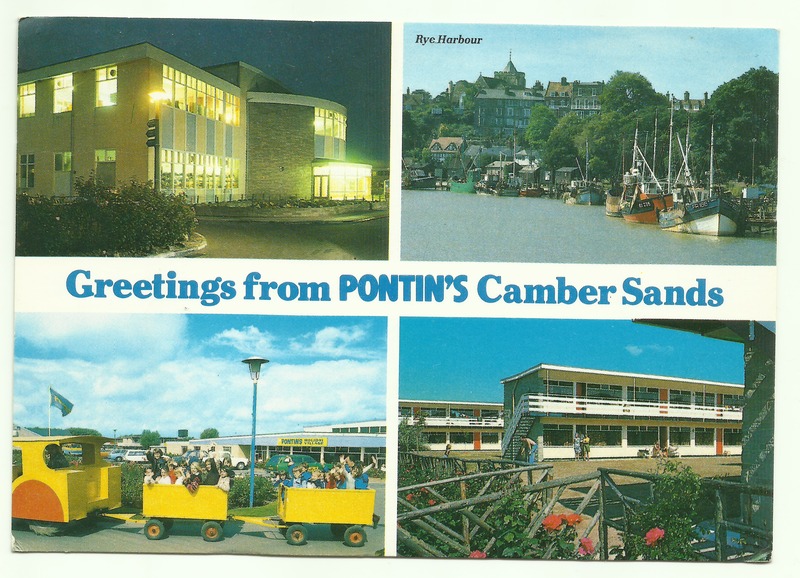 Pontins Holiday Camps were (and still are) very good places for family holidays. 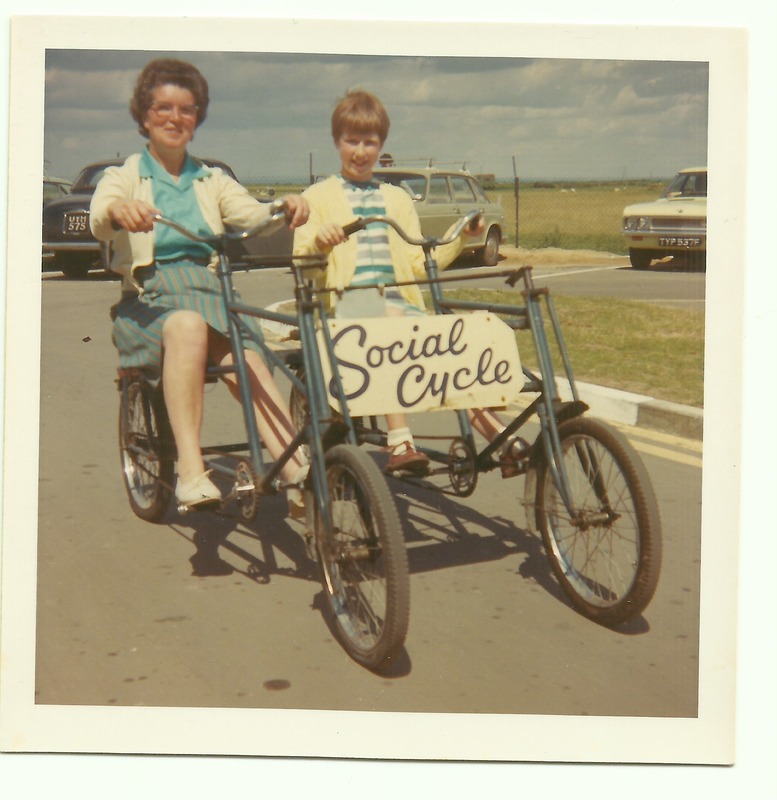 From 1966 – 1975 our family – Dad (Gordon Dinnis) Mum (Enid Dinnis) and me (Jackie Dinnis) took our holidays at these fantastic centres. Ideal for families, they included all-in entertainment and you could either go self-catering or have your meals included as well. The photographs below were taken at Camber Sands, in East Sussex (so not too far from Brighton!) where we took several holidays. The Noddy Train was always popular, children would pile in and get a ride around the camp. The paddle boats were also something I enjoyed, although I tried not to go too far from the edge in case I got stuck in the middle of the rowing pond (I was an anxious child). We also took holidays on the Isle of Wight (Little Canada), West Sussex (Bracklesham Bay), Burnham-On-Sea, Somerset (Brean Sands) and Brixham, Devon (Wall Park). 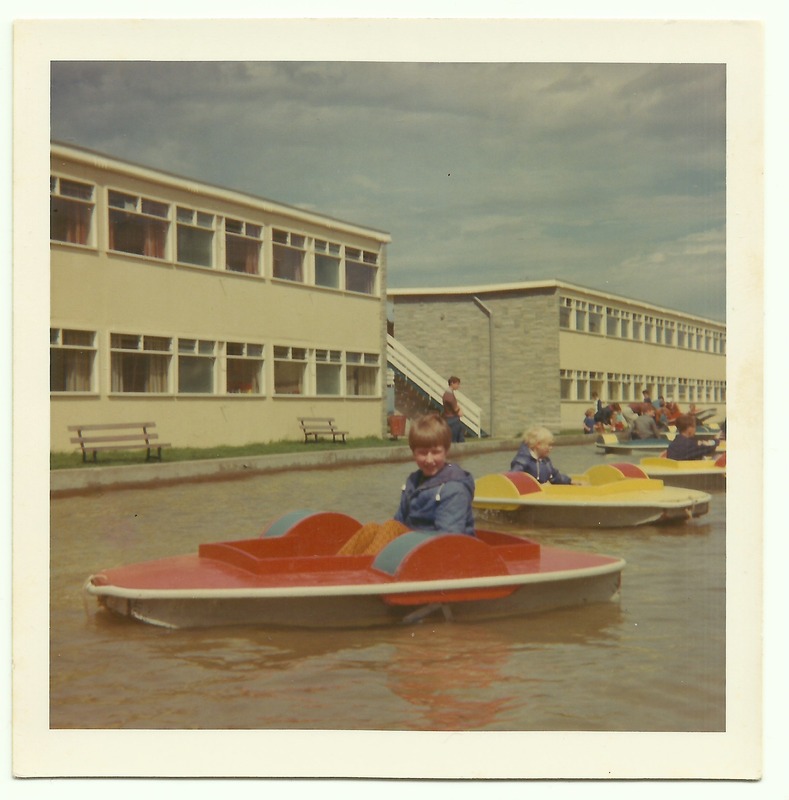 Behind me in the paddle boat photo you can see the holiday chalets we stayed in. Camber Sands had ground floor chalets and first floor ones too. The stairs you can see going to the upstairs chalets were very noisy, made of steel or iron or something like that. Late at night everyone would pound up the stairs coming back from the pub, laughing and joking, waking us up. We went to bed early, even on holiday. I have more photos and will be sharing them at a later date. 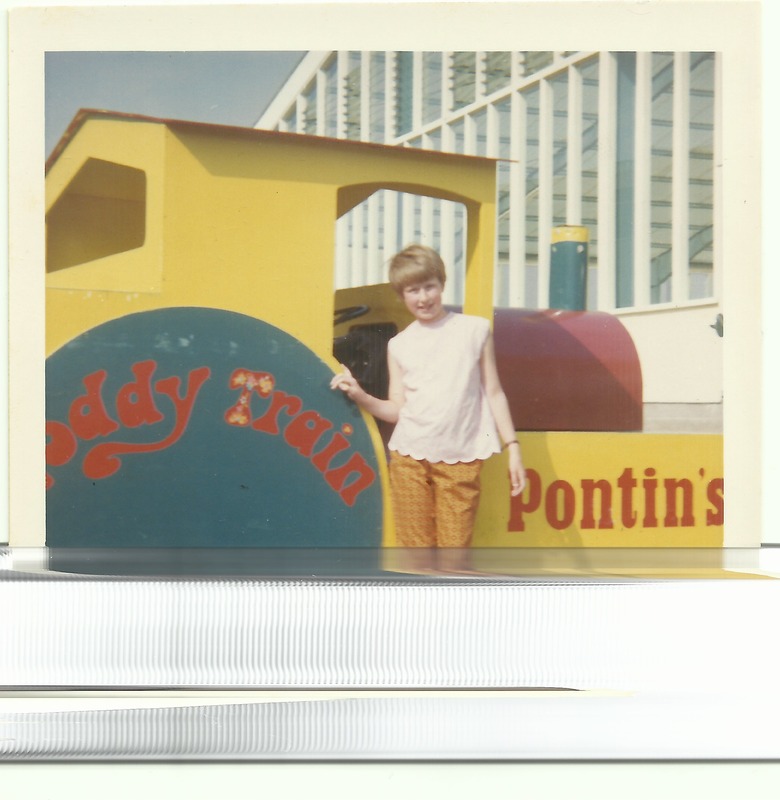 My plan is to make a little book about Pontins holidays in the late 60s and early 70s. 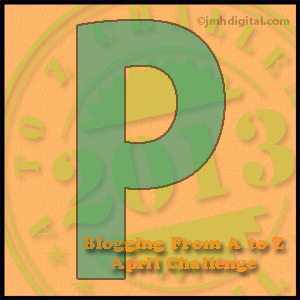 This entry was posted in A - Z Blogging Challenge 2013, Enid May Howells, Gordon Charles Dinnis and tagged Family History, Pontins. Bookmark the permalink.